People expect because they know we can. 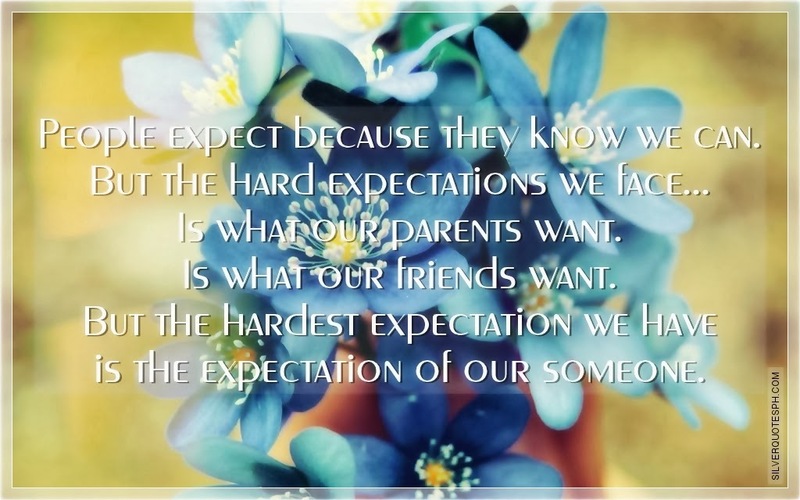 But the hard expectations we face... Is what our parents want. Is what our friends want. But the hardest expectation we have is the expectation of our someone.